During his travel around the local schools, our former Sub-Branch President, Mr Peter Wilson, came across the memory of a former Bass High student Michael Muc who was conscripted into the Australian Army and killed in Vietnam on 13th September 1968. Private Muc was the son of Ukrainian migrants who fled to Australia to escape the communist regime which overtook their country. 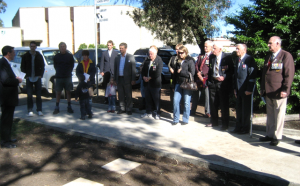 He was brought up by a family who valued the freedom that Australians took for granted. 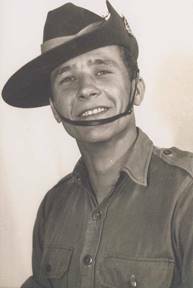 He was attached to a true ANZAC Battalion, 4 RAR, which encompassed two New Zealand company groups whilst in Vietnam. During 4 RAR’s first tour of Vietnam, Private Muc was killed with seventeen others whilst engaging against the Viet Cong Main Force units along the Phuoc Tuy province border. Over 200 communist troops were killed by his unit over the same period. Whilst war is an ugly part of any society, the defence of one’s homeland, way of life, culture or religion can escalate into such a conflict. Unfortunately, people are wounded or killed. Our Australians believed they were fighting to free the scourge of communism in south-east Asia. The western free world is completely against communism in all of its forms. Why, because it always benefits the few in charge. The majority are either kept under control without freedom of speech and without freedom of choice, they are subservient to masters. That is why we were there. Right or wrong, as members of a free society we believed we were right. Michael Muc is interned in the Ukrainian Section at Rookwood Cemetery, New South Wales. 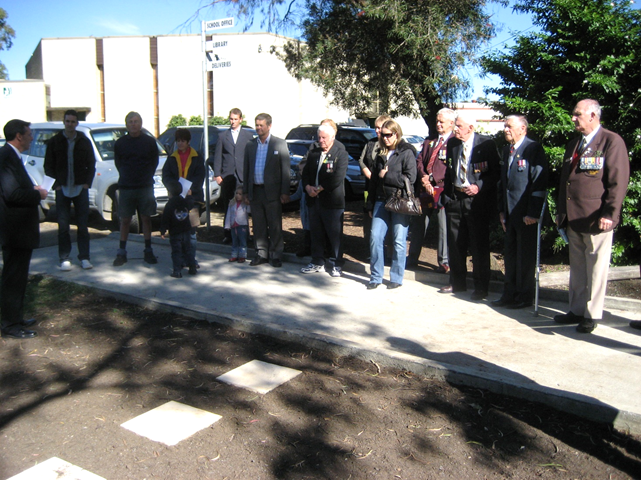 In 2008 Bass High School unveiled a memorial plaque to Michael Muc for his service to Australia. Seen here are the Family of Michael, the School Teachers and Students around the flagpole and memorial.